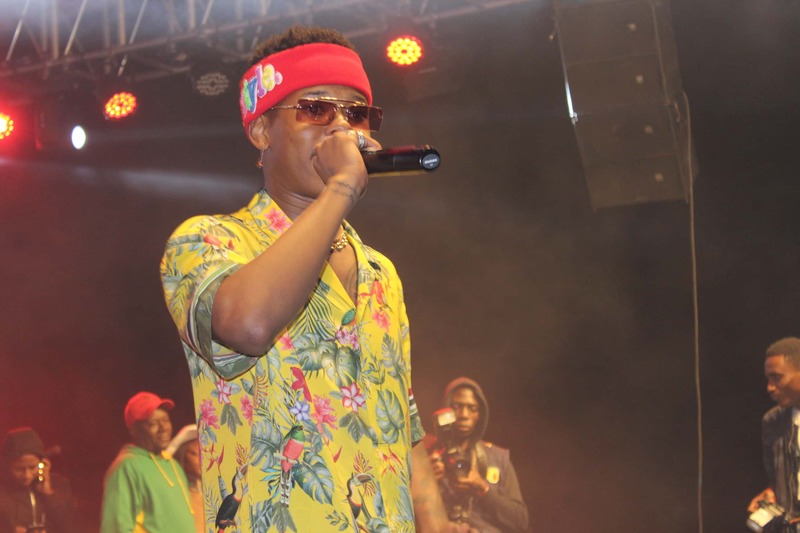 A sterling performance by South African hip-hop wonder, Nasty C real name Nsikayesizwe David Junior Ngcobo on Saturday night brought Wingate Golf Club to flames leaving hundreds of revelers, fans and admirers of the emerging hip hop sensation yearning for more. While the show lived up to its billing, some stray fans of the Dancehall genre struggled to find the show a worthwhile investment as they could not cope with Nasty C’s lines and punchlines. Unlike Dancehall, Hip hop is a genre whose consumers and followers find pleasure in song lyrics, bars and punchlines more than the beat itself and this worked against those who came expecting rhyming beats. The 21 year old performed after Military Touch Movement’s (MTM) ExQ who did a good job setting the tone high with hit songs like Nhema, Bhachura and Nzenza. Dressed in a floral summer shirt, red head band labeled ‘LIFESTYLE,’ blue jeans and red sneakers, the ‘Said’ hit-maker took the stage by storm and had people screaming, singing and shouting his name. Though without a live band, the energy and sing along atmosphere proved equal to task and by time the South African left stage, hundreds of fans had surrounded the podium, maneuvering their way closer to catch a closer glimpse. The Impala Car rental sponsored concert was by any measurement a success contrary to a wave of negativity over its timing and limited publicity.